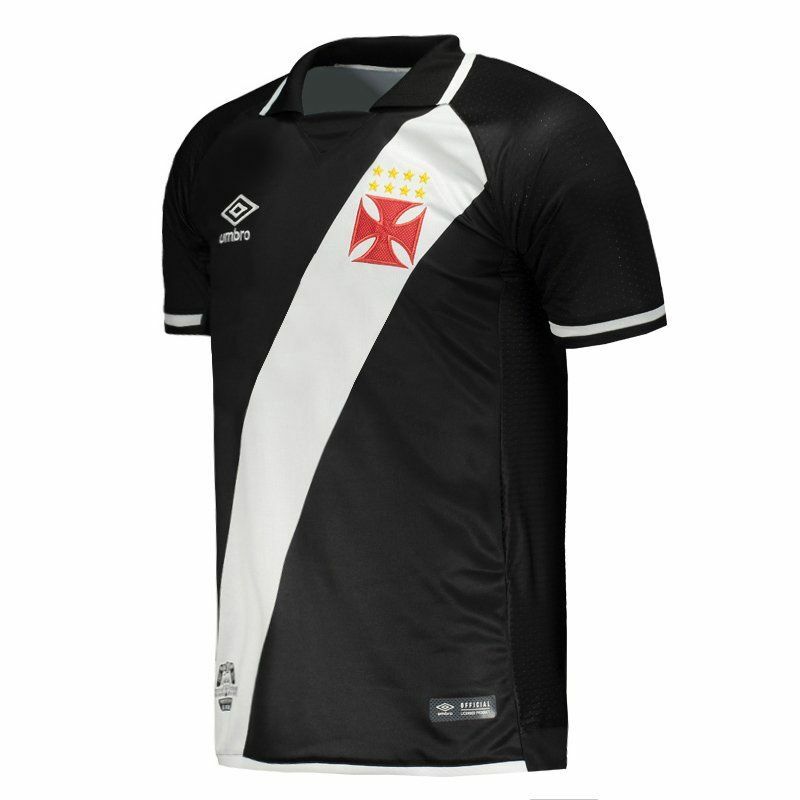 Umbro presents the Vasco Home 2017 Jersey, ideal for fans to show their passion for the team in games or day to day. The piece is made of lightweight and breathable polyester, giving complete freedom of movement. It offers name and number customization. More info. 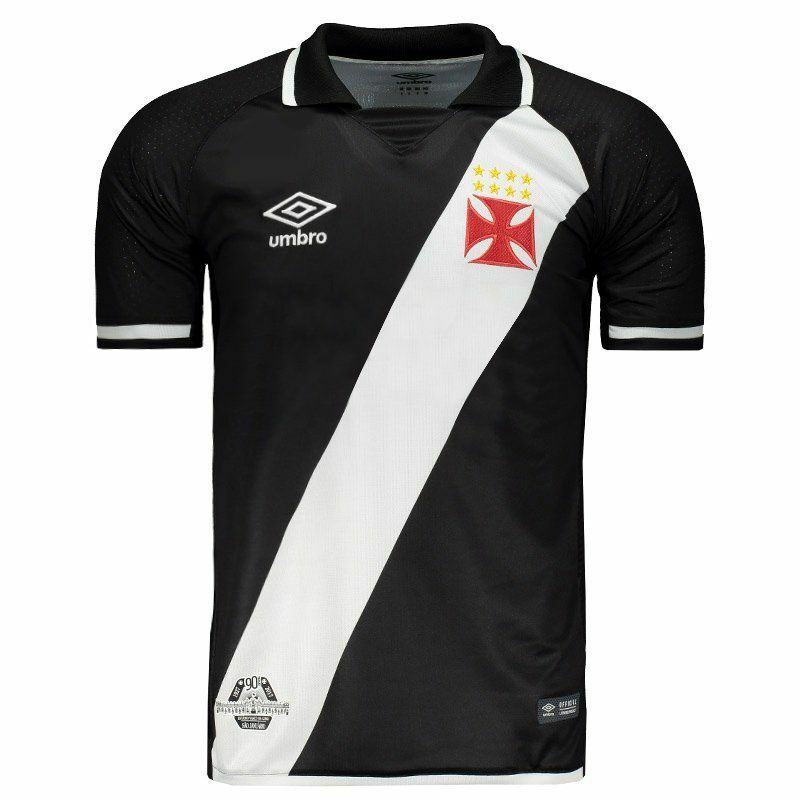 Umbro presents the Vasco Home 2017 Jersey, ideal for fans to show their passion for the team in games or day to day. The piece is made of lightweight and breathable polyester, giving complete freedom of movement. 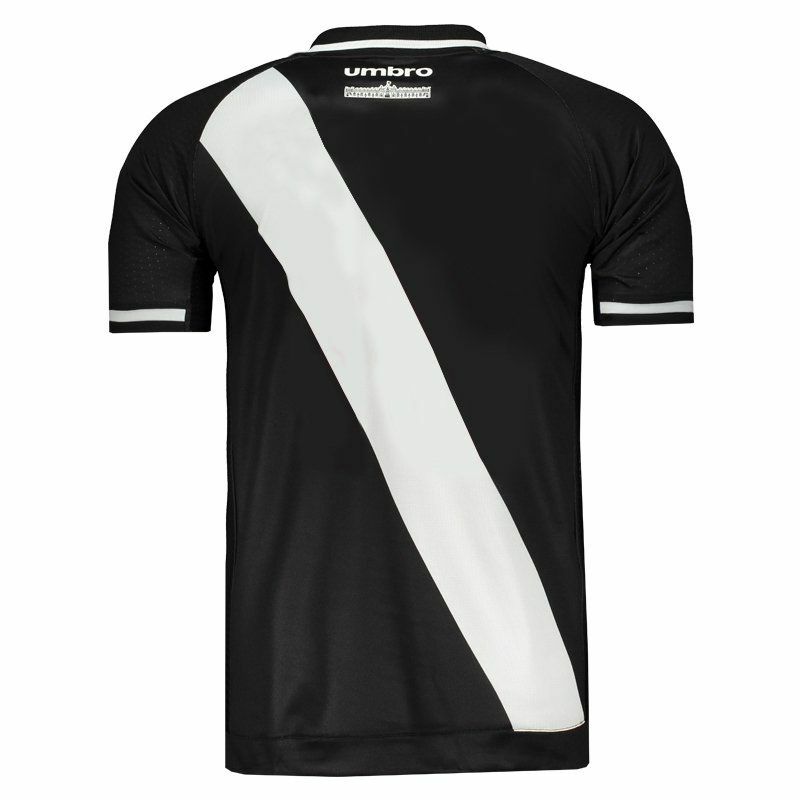 Its design features the traditional model in black and white cross band, which starts in the left shoulder and goes to the right side of the bar. 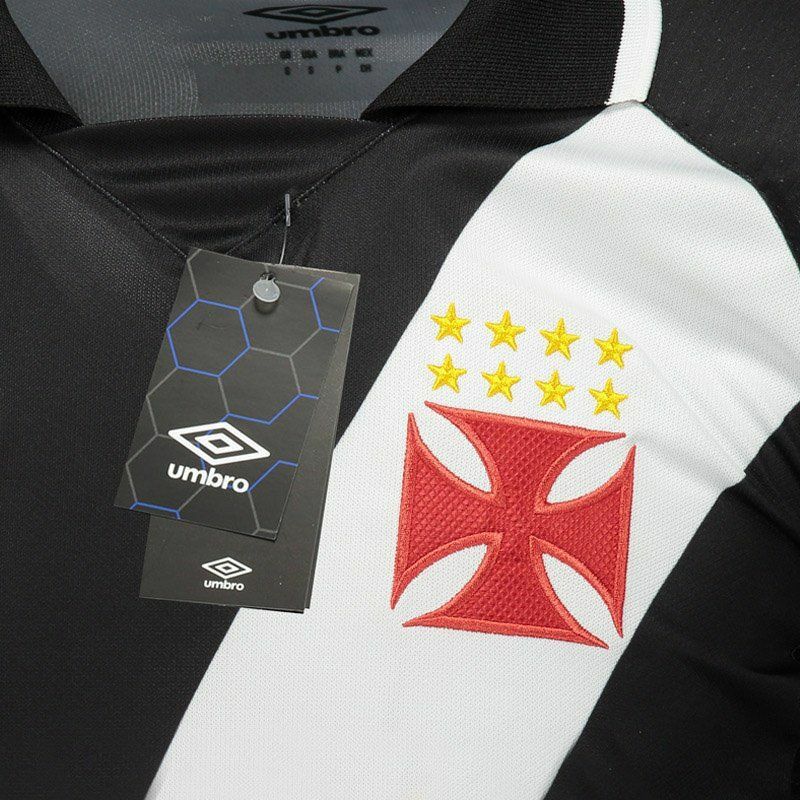 The Cross of Malta is embroidered on the left side of the chest and in addition, a seal commemorating the 90 years of San Januário is present near the bar, while an image of the stadium marks presence below the nape. Complementing the details, its collar is polo with differentiated cut. Finally, small mesh meshes help in the evaporation of sweat are seen on the sides and sleeves.